Today, Google Design are open-sourcing 750 glyphs as part of the Material Design system icons pack. The system icons contain icons commonly used across different apps, such as icons used for media playback, communication, content editing, connectivity, and so on. They're equally useful when building for the web, Android or iOS. Read on for the release notes, view a live preview of the icons or download the icon pack now. What's included in the release? and many other icon categories app developers use today. You have a few options for getting the icons. Grab the latest release as a zip archive (~57MB). Install the icons using the Bower package manager. 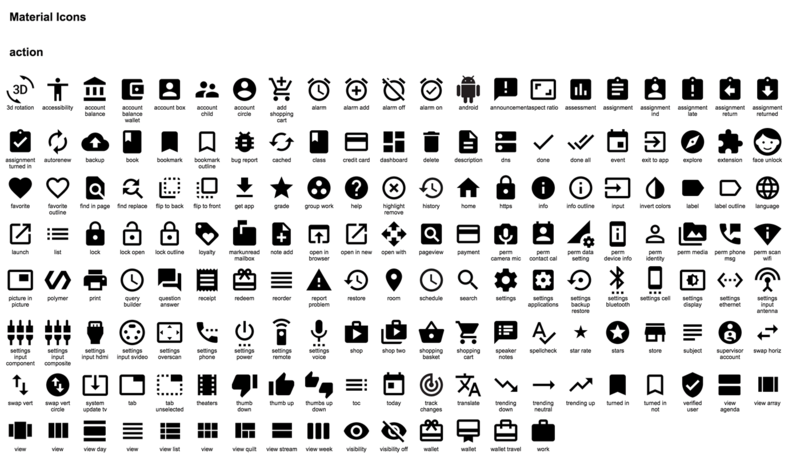 You can also find all the icons on npm. For more information on usage, see the project README.